Svetlana Ratnikova brings a wealth of national and international experience to the company — from entrepreneurial, corporate, recruiting and marketing. With a record of starting and transforming organizations she is skilled at designing winning strategies, identifying new opportunities and mobilizing teams to achieve results. She is a values-driven and passionate about being on the front edge, inspiring growth and developing teams. 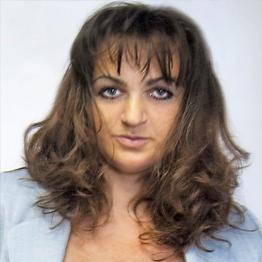 As a seasoned business leader with 25 years of broad experience Svetlana concentrates on building and nurturing agency culture of professional growth and client-service excellence. Svetlana was born in Moscow, Russia and immigrated to Canada in 1994. She earned a degree from the University of Moscow in Marketing and Economics in 1989. Svetlana commenced her leadership journey at the tender age of 20, when she became of the first female entrepreneurs in Moscow. In Canada she began her career with a major market research firm working with some of the largest companies in the world as clients. Soon after, she became a headhunter for pharmaceutical companies. In 2001 Svetlana launched Terra Naturals Inc. with the mission to improve lives throughout completely natural, petroleum free body care products. She oversaw strategy, performance, budget and gained valuable experience in all aspects of global sales & marketing as well as product development and production. Svetlana has proven her ability to combine innovative concepting and deep understanding of global consumer insight, allowing the vision to be carried from idea to execution. Svetlana also supports entrepreneurs of small to medium-sized businesses, leaders and professionals to achieve their aspirations and bring their dreams to life. She enjoys working directly with young people to help them to explore enterprise as viable and sustainable paths to secure their socio-economic futures.